Vice Chairperson of Uganda Episcopal Conference, the Assembly of Catholic Bishops in Uganda Rt. Rev. Robert Muhiirwa has called on Christians to support the fund raising drive that is geared to establishing Uganda Catholic Television. KAMPALA – The Vice Chairperson of Uganda Episcopal Conference, the Assembly of Catholic Bishops in Uganda Rt. Rev. Robert Muhiirwa has called on Christians to support the fund raising drive that is geared to establishing Uganda Catholic Television. Rt. Rev. Muhiirwa who was among the four Bishops on the commission of priestly formation during their canonical visit to St Mary’s National Seminary Ggaba made appeal in an exclusive interview held shortly after concluding the visit with Holy Mass and tree planting. As member of Social Communications Commission and patron of the fund raising committee of Uganda Catholic Television, he urged Christians to contribute generously towards the establishment of the television station. “Therefore we are appealing to all Catholics and people of Good will to contribute a minimum of 2000 Uganda Shillings (1 USD) for the progress of this television station of the Catholics in Uganda,” he said, adding that the Conference is currently in need of funds to facilitate its establishment which is intended to promote evangelization in and beyond the country. Rt. Rev. 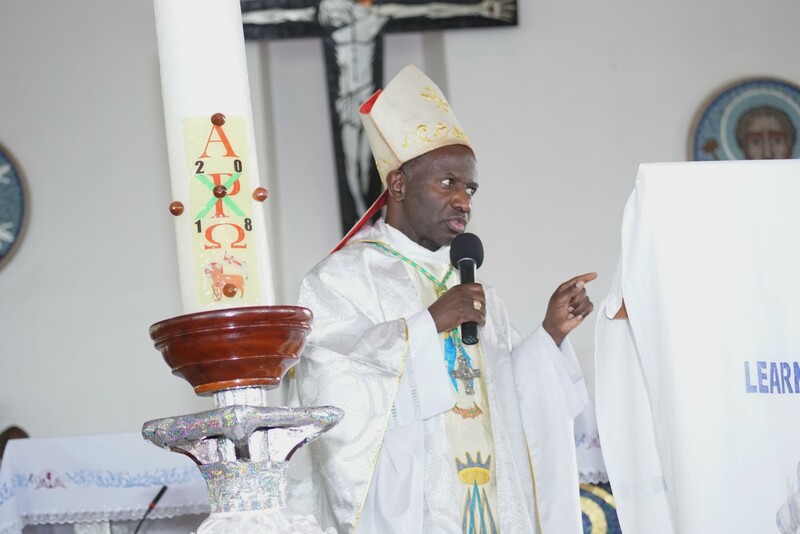 Muhirwa who is also the Bishop of Fort Portal Diocese said once it is established, the Catholic Television will serve double purposes – socio-economic development but also evangelization of the people. He revealed that the project is estimated to cost billions of shillings though he did not disclose the exact amount. “We need money in billions to be able to roll out; that is why we need your contributions,” he said. On a positive note, the Bishop disclosed that over two hundred million shillings have already been contributed by Uganda Episcopal Conference for the preliminary ground work. Uganda Catholic Television will have its main station situated at the Catholic Secretariat, with sub stations spread in the ecclesiastical provinces of Mbarara, Tororo, and Gulu particularly in Lira.